When I started off making games in Flash, I didn’t yet realize the significance of having a gameloop. Now, it’s the first thing I implement when making a game. What is a gameloop? It is a continuous loop that runs in the background of a game and basically runs the whole show. 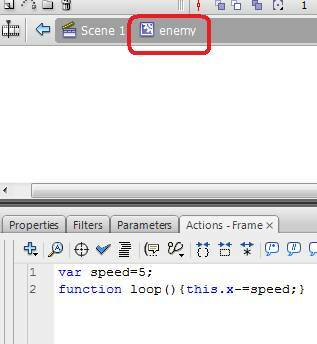 In this tutorial, we will implement a gameloop that controls the motion of ‘enemies’ across the screen. 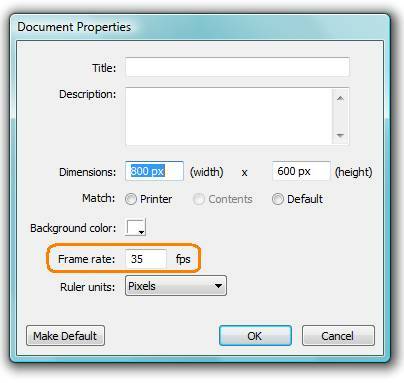 Create a new flash file, click modify>document and select a stage size of 600 x 800 and set the frame rate to 35 fps. This means that the display will be updated at a rate of 35 times per second, which will make the motion within our game look smooth to the human eye. Lower than 35 can cause game motion to be jerky and a higher rate will only cause the game to run slower. Let’s create an enemy. Draw anything you like, and save it as a movieclip with the name ‘enemy’. Make sure that you set the linkage settings as below, and make sure you do NOT have an instance of the enemy on the screen, only in the library. Rather than have the enemy on the screen when we begin the game, we will create the enemies from the library as we go along. To do this, the linkage settings must be as above. Run the flash movie by pressing CTRL+ENTER and you should see “gameloop” being output at a rate of 35 times per second. We want to use the gameloop to control the motion of our game enemies, but first we need to display our enemies on the screen. We have cloned a ‘child’ of the movieclip in the library and placed it on the screen. You should see your enemy in the top left corner of the screen. Since we haven’t specified where we want it to go, Flash automatically sets the x and y coordinates to 0. How does the above code work? Math.random() generates a random number between 0 and 1. By multiplying this number by 800 (the screen width), we get a random number between 0 and 800. Now we have placed the enemies on the screen, we want to add motion. What we will do is to place a function within the enemy movie clip and run this function using the game loop. Are you ready? Basically, what we have done is define a speed for the enemy. Since we are going to run the function 35 times per second, a speed of 2 means the clips will move 70 pixels per second and will take about 12 seconds to cross the screen (which we set at 800 pixels). But nothing happens yet if you run the movie, because we need to call the loop function from the game loop on the main timeline. We are telling Flash to run the loop() function within enemy1, enemy2, enemy3 etc, which will move our enemies across the screen. Try it and see if it works. 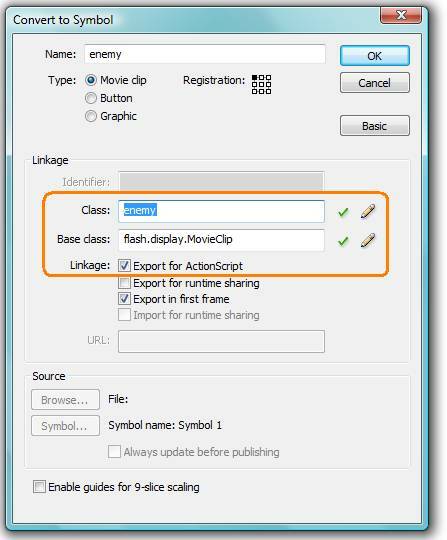 This tells Flash that if the movie script is off the screen to the left, replace it to the right of the screen. I used the number -40, because my enemy had a width of 40 pixels and at -40 it would be just off the edge of the screen. So there we go; that’s how to write a simple game loop and use it to control enemy motion, all in less than ten lines of code and the size of the flash movie is approximately 1K.